The Chiefs of the Department are elected to their positions on a yearly basis. 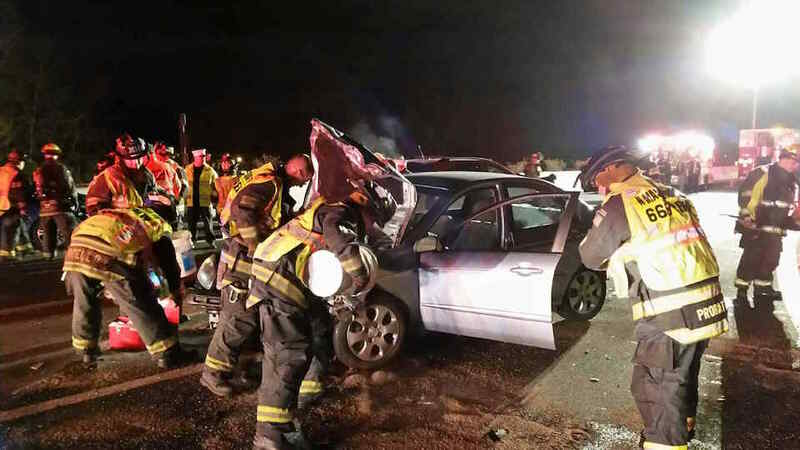 Being a Chief requires a tremendous amount of dedication and work in order for the position to be done correctly. These individuals serve as the representative of the department at various meetings, organizations throughout Nassau County, New York State and the Nation. 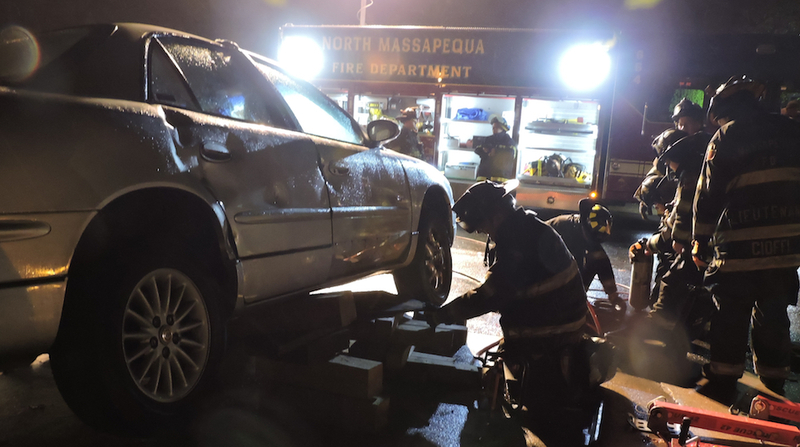 Chief Joseph M. Pesale Jr. has resided and grew up in N. Massapequa since 1974. A year after graduating from Farmingdale H.S., he joined the U.S Army in 1989. He served as a Combat Medical Specialist and is a Desert Storm Veteran. He also served a tour in Honduras, where he was assigned to the busiest and one of the few field hospitals in Central and South America at the time. 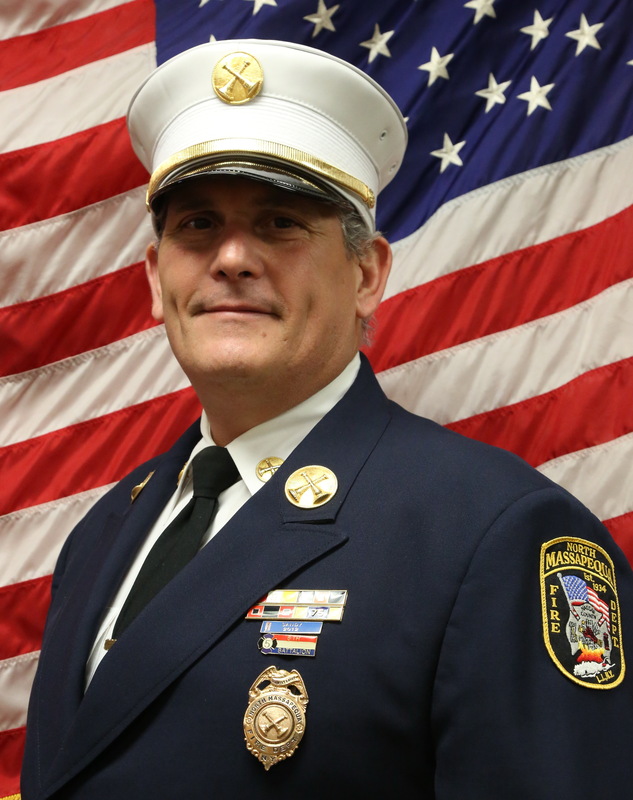 Chief Pesale joined the North Massapequa Fire Department, as a member of Hose and Engine Company 2 and an EMT, in February of 1995. During his early tenure, he pursued and successfully achieved appointment as a Company #2 Engineer, on both Units 662 and 663 and later was successful in serving as a Lead Engineer as well as the Company Secretary. 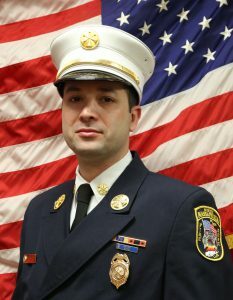 In 2002 he commenced his desire to seek a leadership role in the fire department and upon rising through the Company ranks; he became the Captain of Hose and Engine Company #2 in 2008. In 2012, Chief Pesale also accomplished becoming and retaining certification as a New York State and Federal certified Wildfire Firefighter. In tandem with his firm commitment to community service, Joe also found time to have a social life. In 1994 he met his best friend and love of his life, Caroline and they were married in 2001. They have three beautiful children together: a beautiful five year old daughter (and aide to the Chief), Casandra Marie, and a recent set of twins (soon to be 1 year old) son, Nicandro Joseph and daughter Ashley Nicole. And if that wasn’t enough, they also have two amazing four legged children at home Kaine 8 and Kandie 7, who on occasion can be spotted on Alarms or at the firehouse. Joe works for the Town of Oyster Bay Department of Sanitation since October of 2003. He currently drives and manages his own routes. Continuing his upward quest, within the fire department, Chief Pesale was elected to the position of 3rd Assistant Chief in April of 2012. In April of 2014, he was elected to 2nd Assistant Chief and since April 2016, he has served in the position of the 1st Assistant Chief. 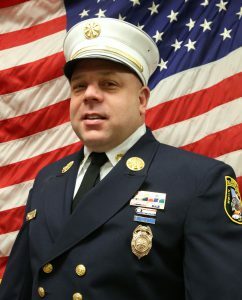 He is a member of the International Association of Fire Chiefs, New York State Association of Fire Chiefs, Nassau County Fire Chiefs Association, and the Sixth Battalion Mutual Aid Chiefs. 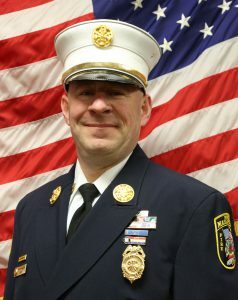 Chief Joseph M. Pesale Jr. is the 48th Chief of the North Massapequa Fire Department.